This is the companion thread to Egon Schiele. Klimt was his mentor and the leader of the Jugendstijl, a Vienese Art Nouveau movement. In stark contrast with Schiele, Klimt was a happy well-adjusted man who loved women, as often as possible. Also, i saw that book on Klimts drawings in the library, and his drawings ooze style. I liked them more than the paintings as well. Not as if the paintings were bad. Found a rough diamond that could use some polishing. The resolution on these is terrible, but they give an impression of the charme his drawings have. Without the gold paint, they show nothing but a graceful line. Found a rough diamond that could use some polishing. The resolution on these is terrible, but they give an impression of the charme his drawings have. A somewhat overlapping selection with generally better resolution is available from the sold lot archive of the Sotheby's site. 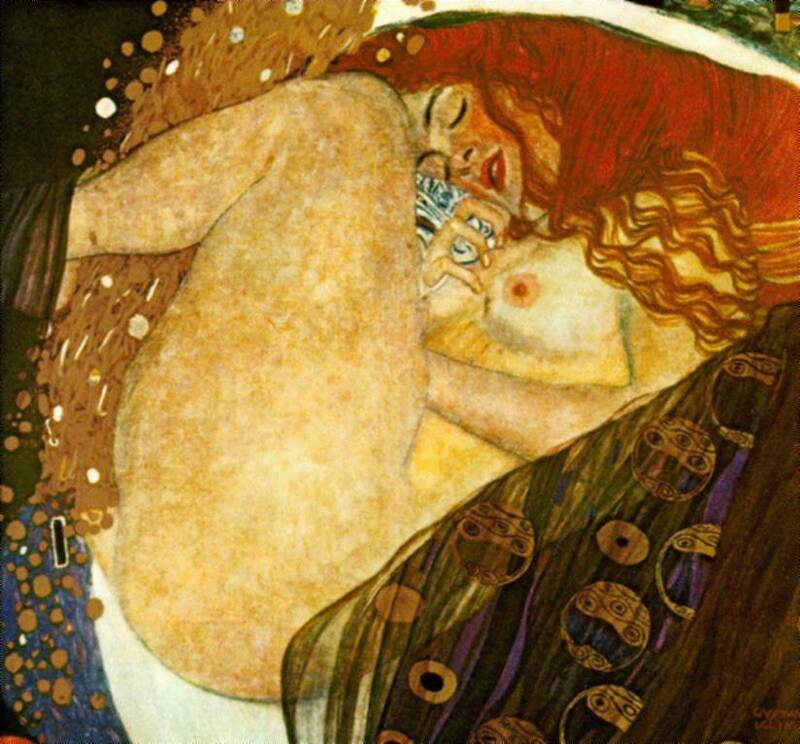 Besides the popular paintings by Klimt, there are other works that are far more superior, in my judgement, anyways. The Faculty Paintings, Medicine, Philosophy, and Jurisprudence, are fantastic in their imagery. They created quite a scandal when they were finished because it was thought that he was just fueling his own perverted fantasies and not what the subjects demanded. But, that's not the case; if you look at the paintings, they have all the necessary ingredients to what their titles suggest. Klimt's imagination was incredible and it is a great disapointment to think that these three paintings were destroyed by the Nazis during WW II. Black and white photos are all we have to look at, now. What are your thoughts...? Masters to study for tonal pattern, value pattern?